Well, there was me thinking that none of Mrs Beeton’s recipes revolved around pasta. I was looking for a simple soup to take the edge off our hunger before dinner, something that my boyfriend wouldn’t just take three spoons of before slipping the rest to our 3 cats (seriously, they’re like a pack of starving wolves when we’re eating, despite being very well fed and cared for). To my great surprise, ‘Macaroni Soup’ practically blinked back at me from the page. I don’t mind being wrong when I’m hungry. 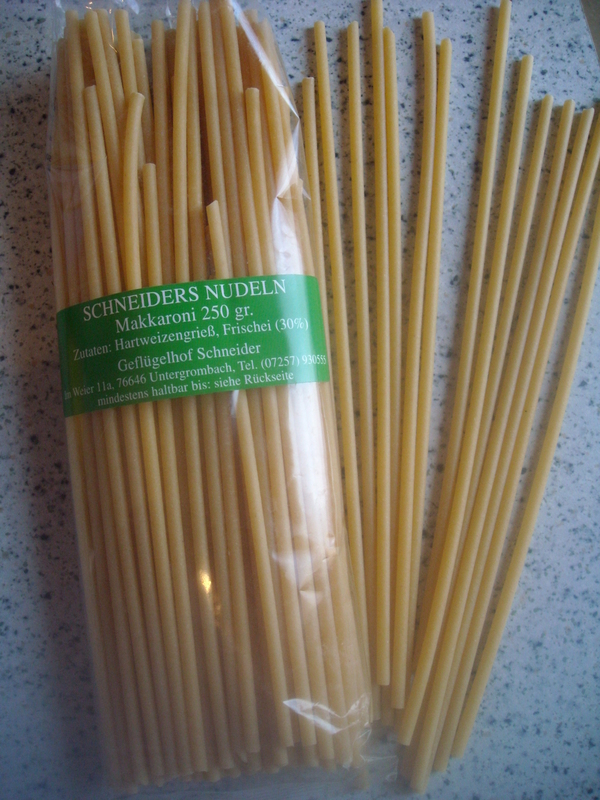 INGREDIENTS – 3 oz. 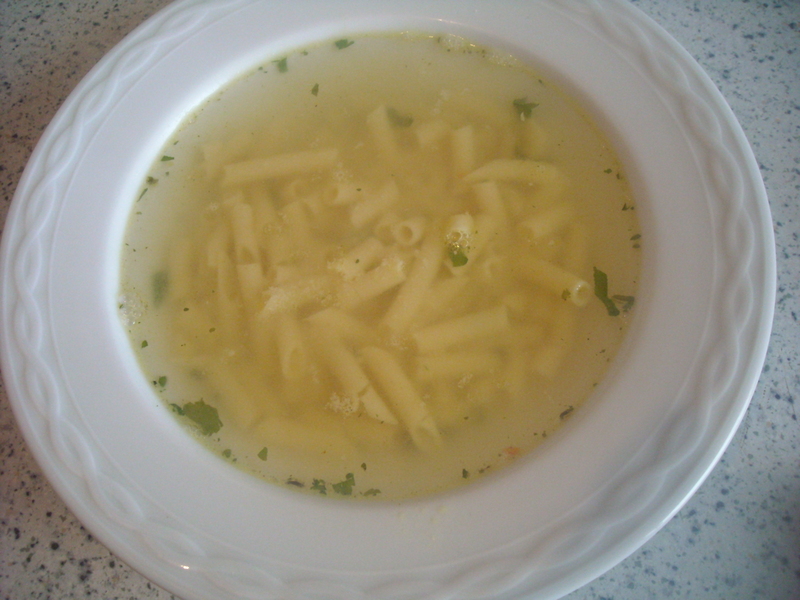 of macaroni, a piece of butter the size of a walnut, salt to taste, 2 quarts of clear stock No. 105. First, I have to confess something. I had to cheat. There was no way I could wait 5 hours to boil up the stock. Nor was I going to add meat, despite my boyfriend’s protestations that the soup would taste a hundred million times better that way and what would Mrs Beeton think? So, I added most of the listed ingredients to a basic vegetable stock of my own, and gently simmered the mix for 30 minutes before adding the cooked, sliced macaroni to some of the liquid (I left the rest to continue simmering for another 4 1/2 hours, to see what the end result tastes like some other time). 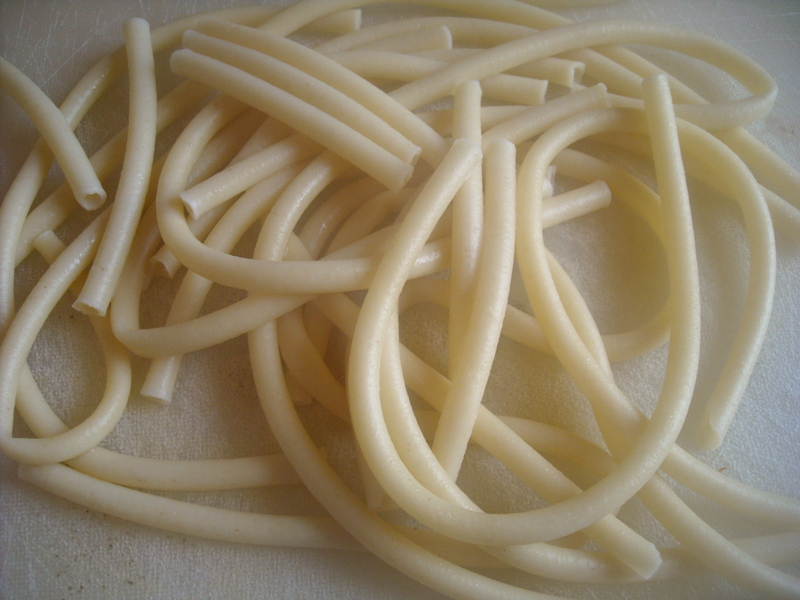 I had bought the long-stemmed macaroni only that morning from a farmer at the local market, so I was pleased to be able to use it almost immediately. 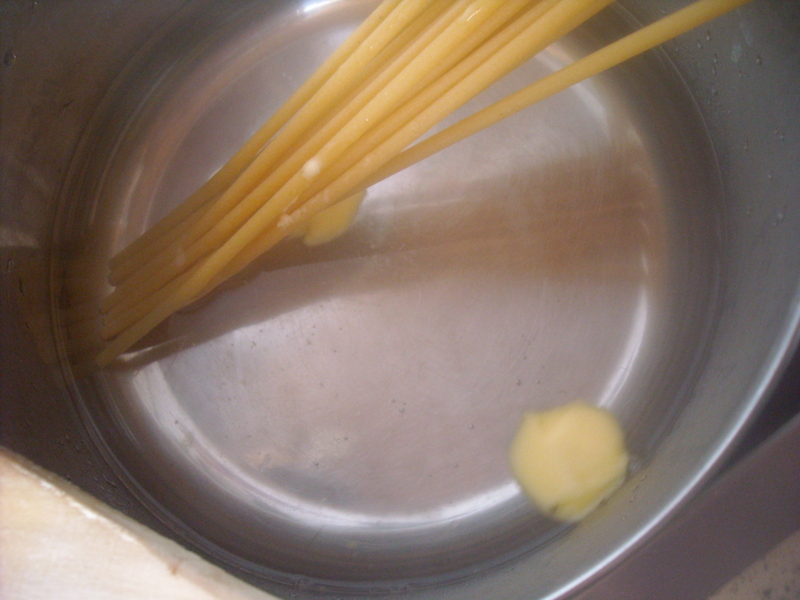 After adding the cooked macaroni, I gave the liquid a few more minutes on the stove before gently ladling it into some bowls. My boyfriend thought it was surprisingly tasty for what it was, especially with an extra big pinch or two of Parmesan Cheese. The soup has a very mild taste – nothing spectacular, but enough to satisfy our hunger pangs while the main dish was being prepared. By the way, I’ve come to the conclusion that a Victorian kitchen, as envisaged by Mrs Beeton, must have been very much like a modern restaurant in many respects. So many items needed to be prepared in advance, to be drawn on depending on daily requirements. 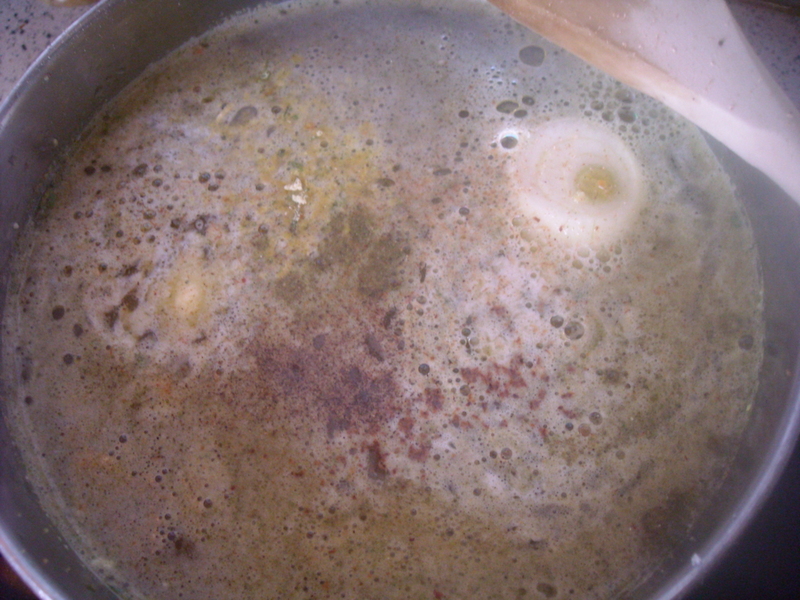 For example, the stock would have been prepared at least by the night before and used (presumably) for more than one planned dish. Many recipes also call for storeroom cupboard products prepared far in advance – Mushroom Ketchup, Burnt Onion Sauce, Lemon Brandy, dried herbs, preserves, etc. Very little could be easily and/or inexpensively procured from local shops or markets. The more I get into this 365-day challenge, the more I admire and respect our Victorian ancestors. Whether or not they could afford to live as Mrs Beeton encouraged, they still had to put in a heck of a lot of work to feed their families and run a household. And some of their modern descendants complain about not having the energy to heat a ready-meal in the microwave! Compared to our ancestors, we’ve got it sooooooo good, that’s for sure. This entry was posted on May 29, 2010 at 7:44 am and is filed under food. You can follow any responses to this entry through the RSS 2.0 feed. You can leave a response, or trackback from your own site.